Hello Brooklyn! What you cooking? At The Blue Stove in Williamsburg they are cooking up some awesome home made pies. Why is it called Blue Stove? They still have the blue stove grandma used to bake her pies in. When I heard about this place and saw the reviews I knew that I had to grab my fork and go grab a bite. I decided to try to Peanut Butter pie, which was pretty rockin’, and the Bosc Pear Ginger Crumble pie. Ginger? Yup, ginger. The PB pie was pretty good, but it was the pear pie that stole my heart. 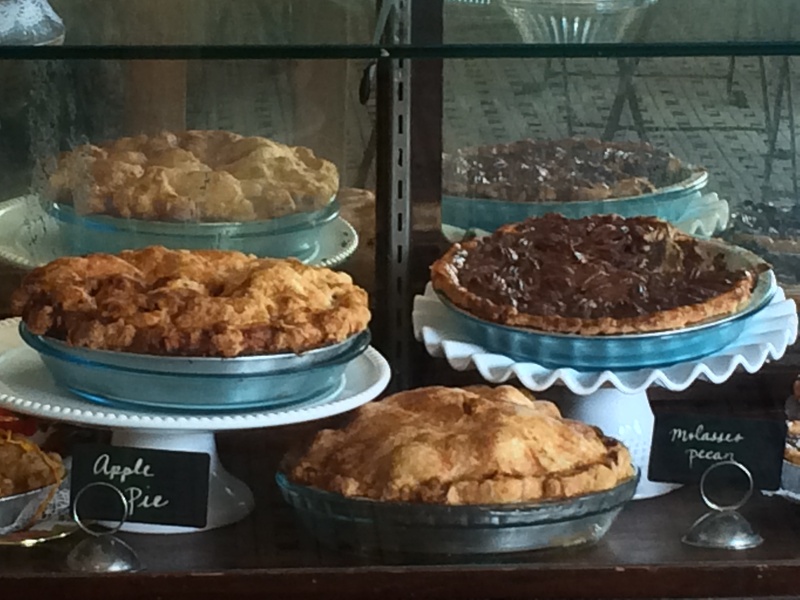 I could not help but stare at these beautiful pies as I savored ever bite. The size of the big manly pieces of pie was good and bad. Good because I can eat! Bad because I had just finished brunch somewhere else and was pretty full. That didn’t stop me from cleaning my plate. Click Here to check out the Yelp Reviews. Then go have a bite for yourself. 05 Feb	This entry was published on February 5, 2014 at 3:51 pm. It’s filed under Pear Pie and tagged Blue Stove, Brooklyn, Brooklyn Brunch, Food Blog, Fruit Pie, Ginger Pie, Pear Pie, Pie, Pie Blog. Bookmark the permalink. Follow any comments here with the RSS feed for this post.